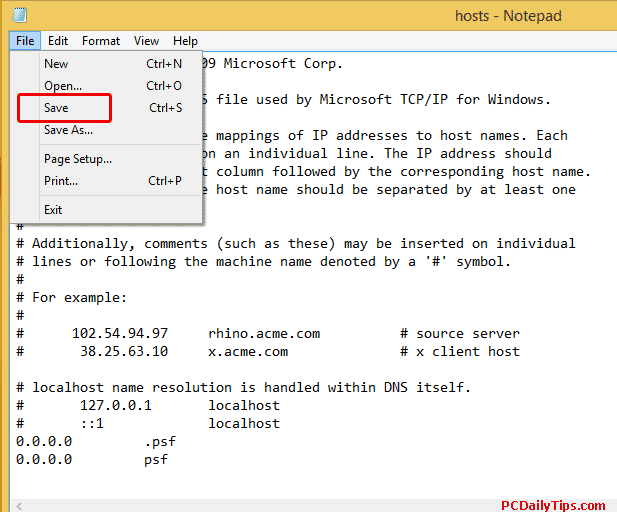 I am going to post another tips on my WP blog, and one of the steps is going to edit hosts file on Windows 8.1, follow these steps if you want to update your Windows 8 to 8.1 version. I always wanted to post this, because I myself can’t remember the path, so I need these steps, so I decided to post it and collect it as my own library on my own blog. If this method doesn’t work for you, you might want to see this resource. 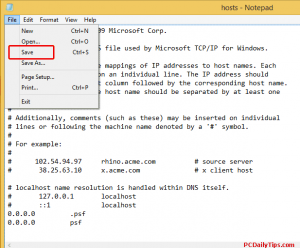 Then copy and save the old hosts file somewhere, that if you later on still need it, you can find and use it again easily. 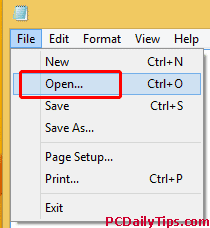 I am sure there are many ways, but here is the method that I personally use, everytime I need to open it. 1. 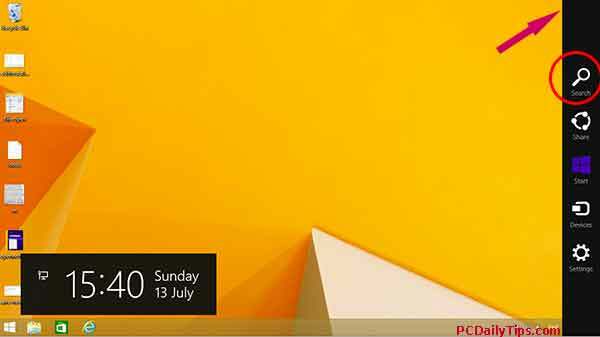 In your desktop, hover the right top area of your screen until you see the Charm bar. Then click the “Search” icon, and type, “Notepad“. 2. Select Notepad icon, right click, and click on “Run as Administrator“. 3. 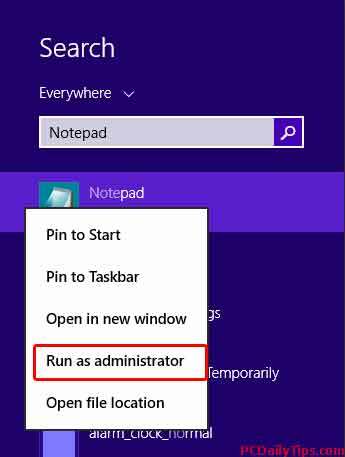 This will open Notepad program as an Admin. Click “Yes” if it asks the permission dialog box. 3. 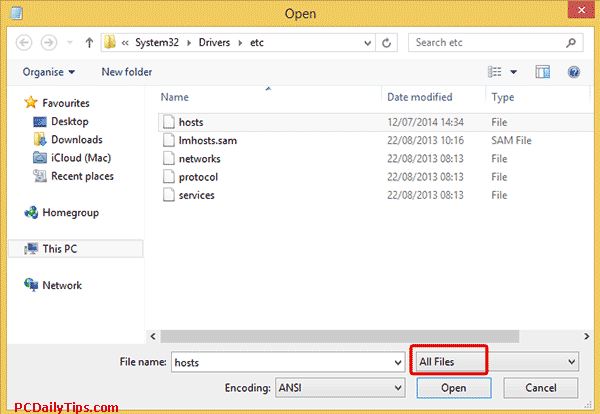 Go to “File“, then, “Open” in Notepad’s menu bar. 5. In my case, you will see empty folder inside “etc” folder. 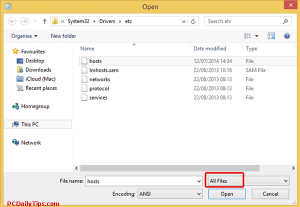 To show the file, on the bottom, you will see “File Name” box, and next to it, there is a drop down menu, which you can select, “All files“, select your “hosts” file and then then click “Open” button. 6. Edit it when it’s needed, and to save, you can go to “File” and then “Save“. There you go, you can do this in about 2 minutes, and it worked.